The previous article (WW paddling skills) looked at getting the body in the right position to perform covering areas such as Paddlers Box, control of blade and understanding of edging/leaning. 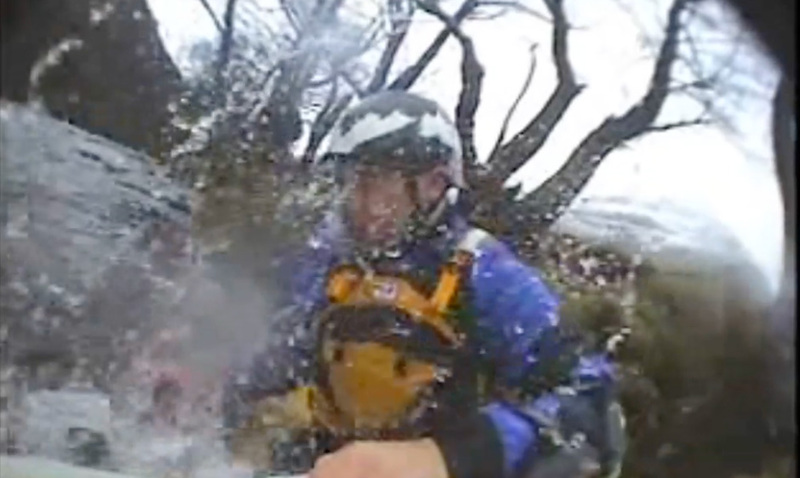 This article will open up the psychological area of white water kayaking. 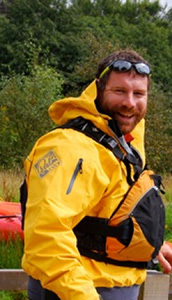 I am going to look at a few key areas that will help you be in the correct state of mind for the type of water that we are paddling. 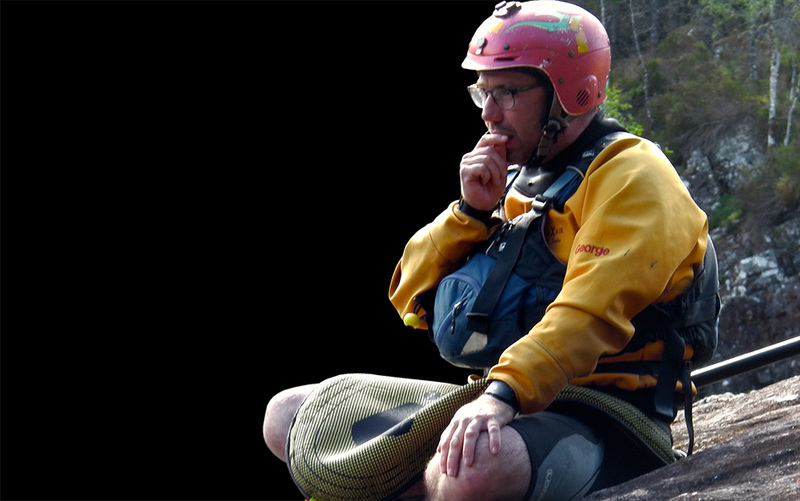 The following areas are not the only mental skills training that you can do to help while on the river however, they are areas that I find I am using a lot to help paddlers that I am coaching when they are feeling challenged by the environment. Mental skills training is a collection of skills and tools that can be tailored to particular situations so enhance our performance on the river. We can use these to manage our stress or anxiety levels to ensure that we are in positive state of mind. The first area to be aware of is that of arousal levels. Managing your arousal levels is critical. Being over or under aroused leads to a drop in performance and therefore a poor outcome on the rapid. A common factor is that there will be an optimum level for arousal for the skill/manoeuvre that you are doing. Recognising when we are over or under aroused will help us choose the correct tactic for changing or monitoring the correct level. On your way to the river what type of music do you like? Is this planned? Do you know why? Arousing uplifting music is likely to increase your arousal level while more calming music is likely to lower your arousal level. The graph right can help explain why this is critical for us. This helps to show that as we become more aroused then our performance can improve to a point. Become over aroused and we see a massive drop in our performance. This drop in performance can take a long time to recover from. I am sure that we all know of someone who has suffered this and taken a drop in his or her confidence on the river after failing a roll, missing a line etc. Consider what has happened since top try and recover from this. As we are all individual what works for me may not work for you and finding the solution for each individual will be crucial. Consider our music on the way to the river where one paddler needs uplifting music and the other more calming! Increase arousal – exercise including specific warm-ups. Warm-ups are great at getting the body prepared for the activities ahead but can also help with getting the arousal level correct for the up coming activity. This could happen at various points throughout the journey on the river. This includes practicing specific moves leading up to the crux points. Lower arousal – breathing control. Looking at relaxing the breathing will help focus the mind on the moves that required. This is crucial to ensure that there is sufficient air in the body to so you have energy for the crux points on the rapids. However, depending on the type of chat you are having with yourself it may not be beneficial. For example if your chat is negative – “I’ll never make that eddy” or “I hate that rapid I always end up rolling” then the response is a change in the arousal level which can lead to muscle tension, anger or lack of effort. If we can change the chat to positive then this can lead to an increase in control of the muscles and the ability to respond better to external factors. Keep your phrases short and specific. Use the first person and present tense. Say your phrases with meaning and attention. This in turn can lead to an increase in confidence by focusing on the outcome i.e. where you need to be on a particular part of the rapid. Simply put what you do before you perform. Some paddlers will have a lot of habits prior to paddling this could be order of putting kit on, lucky shorts, splash on face prior to running rapids or mantras they say before a manoeuvre. Whatever they are they help serve the purpose of focusing the mind on the task at hand. Critical for the success of these is to review them after the performance. Did they help you? What do you need to change? Perhaps one of the most powerful tools that can lead to an enhancement of self confidence, selection of specific tactics, reviewing past performances and ultimately control arousal levels. Environment – where does the activity take place, what sounds are around you? Put yourself in the environment where the activity takes place. Task – what is the task that is required? Make sure it is at the appropriate level and that you are not imaging a top skillful performer doing the task. Ensure that is specific. Timing – work in real time. What is the speed that you will be working and imagine this. Learning – like all things we need to continually review. As you improve your skill so you need to delete the old images and create new ones based on current ability. Emotion – put yourself in the position of what you should be feeling. Be positive and avoid feeling the fear and panic. Perspective – there are times when you need to see the performance through your own eyes such as timing of a specific stroke. However, others maybe are more beneficial seeing yourself as if you are on video. This would be true such as positioning on a rapid and seeing what’s around. 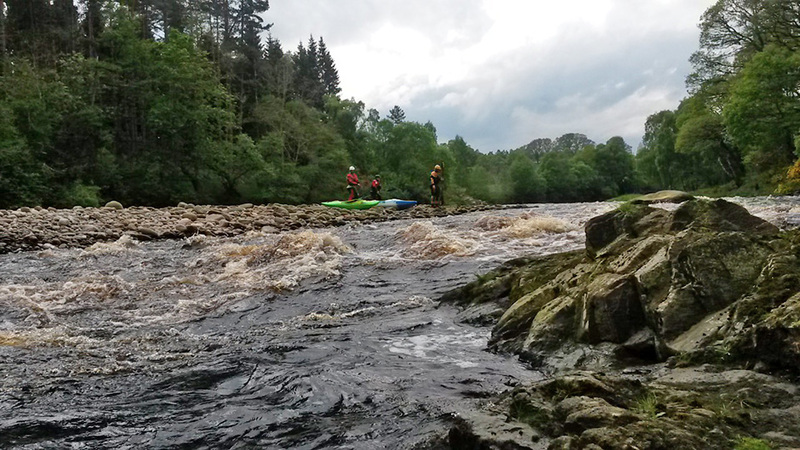 This can be practiced at various points for example before getting on the water at the start of the trip or prior to running a specific rapid. Four areas of mental skills training that can help you first of understand any issues that you may have then some practical tools that will help you increase your performance and enjoyment on the river. Ensure that you are training the mind as well as the body. Next time you are out on the river have a go at incorporating these areas into your training.